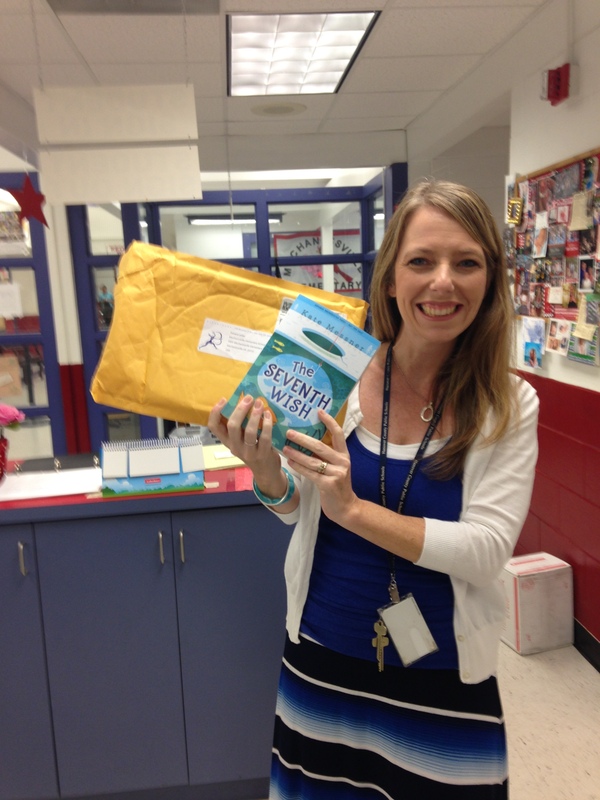 1 Response to "The Seventh Wish"
Celebratekindness, you will not be disappointed! Your post made me smile, as I went through the exact same emotional journey. My envelope was on the kitchen table when I arrived home from school, and as luck would have it, I had no plans, so I dove right in and didn’t come up for air until it was done. It is a wonderful read. I can’t wait to share it with my kiddos on Monday. Let the kid blogging begin!